According to attendees, the convention was noticeably more unified than last year's. 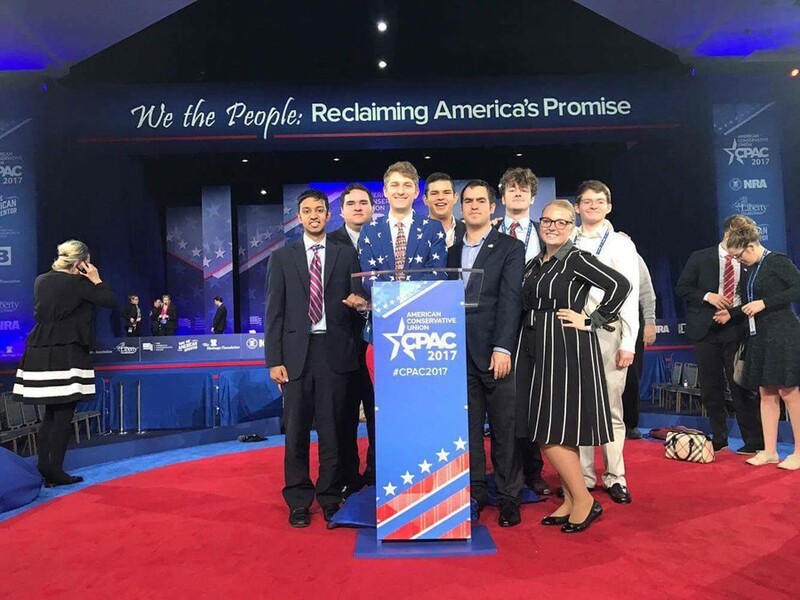 Members of UChicago College Republicans who attended the Conservative Political Action Conference (CPAC) this year described the conference as a display of conservative “unity.” The trip last weekend was subsidized in part by Student Government and the Institute of Politics. Eight members of the College Republicans traveled to attend CPAC in National Harbor, Maryland. President Matthew Foldi said that it was the fourth or fifth time he attended the conference, but it was the first without Obama as president. Members of the College Republicans attended last year, but Foldi has been attending since high school. Foldi left for the conference a day earlier than other College Republicans members, who left on February 23 and returned on February 25 because of class schedules. In 2016, there was a lot of bitterness expressed toward Trump that was not present this year, Foldi said. Last year, Trump dropped out of attending CPAC the day before he was scheduled to speak. The CPAC organization tweeted on March 4, 2016, that they were “very disappointed” by Trump’s decision, which they said “sends a clear message to conservatives”. Second-year Michael Sitver said he agreed with Foldi about the tonal shift. Second-year Chelsea Smith said that this year’s CPAC was more “mellow” than last year’s conference. “Last year, it felt like there was a dichotomy between the Trump people and the anti-Trump people, and this year it was more chill because there wasn’t that tension,” Smith said. Since there is less divisiveness within the conservative sphere post-election, networking at CPAC was friendlier and more accessible than in 2016, Smith said. Foldi said that there was a strong push by Breitbart News to pivot their organization toward the mainstream. Breitbart journalists moderated several panels, Foldi saw. Foldi said that this message was corroborated when white supremacist and Chicago alum Richard Spencer was kicked out by security. He added that he was optimistic about the conference as a whole.